BURLINGTON, N.C.--(BUSINESS WIRE)--LabCorp® (NYSE: LH), a leading global life sciences company, today announced that its Covance Drug Development business (Covance) has been awarded the 2018 Frost & Sullivan Asia Pacific CRO Customer Value Leadership Award. 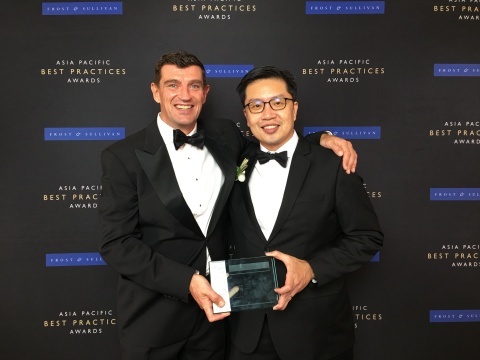 The award reflects Covance’s continued commitment to its Asia Pacific customers, with investments in deep scientific and therapeutic expertise, and the most comprehensive drug and device development capabilities. Over two decades, Covance has expanded its Asia-Pacific solutions, including non-clinical development, central laboratory services, clinical development and market access solutions. In 2018, Covance has enhanced its operations in China, India, Korea and Japan and deepened its expertise in key therapeutic areas, including oncology, NASH and cardiovascular outcomes. The recent additions of Chiltern and Sciformix have expanded its footprint in the region, specifically strengthening its clinical development, post-approval and pharmacovigilance offerings. LabCorp (NYSE: LH), an S&P 500 company, is a leading global life sciences company that is deeply integrated in guiding patient care, providing comprehensive clinical laboratory and end-to-end drug development services. With a mission to improve health and improve lives, LabCorp delivers world-class diagnostic solutions, brings innovative medicines to patients faster, and uses technology to improve the delivery of care. LabCorp reported net revenues of more than $10 billion for 2017. To learn more about LabCorp, visit www.LabCorp.com, and to learn more about Covance Drug Development, visit www.Covance.com. This press release contains forward-looking statements including but not limited to statements with respect to estimated 2018 guidance and the related assumptions, the impact of various factors on operating and financial results, expected savings and synergies (including from the LaunchPad initiative and from acquisitions), and the opportunities for future growth. Each of the forward-looking statements is subject to change based on various important factors, including without limitation, competitive actions and other unforeseen changes and general uncertainties in the marketplace, changes in government regulations, including healthcare reform, customer purchasing decisions, including changes in payer regulations or policies, other adverse actions of governmental and third-party payers, changes in testing guidelines or recommendations, adverse results in material litigation matters, the impact of changes in tax laws and regulations, failure to maintain or develop customer relationships, our ability to develop or acquire new products and adapt to technological changes, failure in information technology, systems or data security, employee relations, and the effect of exchange rate fluctuations. Actual results could differ materially from those suggested by these forward-looking statements. The Company has no obligation to provide any updates to these forward-looking statements even if its expectations change. Further information on potential factors, risks and uncertainties that could affect operating and financial results is included in the Company’s Form 10-K for the year ended December 31, 2017, and subsequent Forms 10-Q, including in each case under the heading risk factors, and in the Company’s other filings with the SEC. The information in this press release should be read in conjunction with a review of the Company’s filings with the SEC including the information in the Company’s Form 10-K for the year ended December 31, 2017, and subsequent Forms 10-Q, under the heading MANAGEMENT’S DISCUSSION AND ANALYSIS OF FINANCIAL CONDITION AND RESULTS OF OPERATIONS.